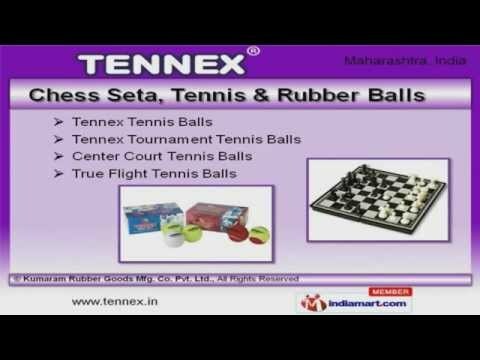 We are one of the leading manufacturer, supplier, exporter, importer and trader of Tennis Balls, Rubber Balls, Badminton Racket, Lawn Tennis Racket,etc. Our products are known for durability and quality, attracts a large number of clients nationwide. 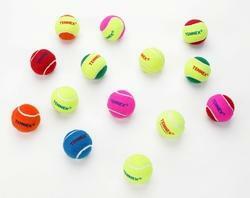 We are manufacturer, supplier, exporter, importer and trader of these quality Sports Accessories. 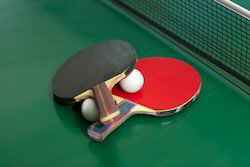 Our range of products includes Tennis Balls, Rubber Balls, Badminton Rackets and Shuttles, Tennis Rackets, Table Tennis Rackets and balls, Swimming Accessories, Jump Ropes, Carrom Coins and Carrom Strickers etc. We are highly appreciated in the market for the superior quality and value of our goods. We consider fulfilling our customers’ requirements and providing them maximum satisfaction in a very economical manner as our responsibility. We further send these to our team of experienced quality analysts, in order to ensure a defect-free range of products. We owe our success to our state of the art infrastructure and a team of highly experienced and dedicated professionals, who enables us to carry out our operations smoothly. Our production process is carried out in accordance with the international norms, in order to provide standard products. We believe in engaging in ethical business dealings. We export Globally and we import from Taiwan and China. You can find us on Play Store with the name Tennex. Download the app and order from it directly to us. We strictly follow the quality standards in our products. We have in- house testing facility in the testing lab. Our rubber technologists ensures qualitative sports goods . Regular testing is done on random basis for all products to enhance the credibility of our products. Our quality compliance can be seen in the performance of the established players. We possess a modernized and comprehensive infrastructure, which is well equipped to design and manufacture variety of sports goods. The machines are highly efficient to deliver bulk products in short time. Utilizing latest software and techniques we provide customized designs to our products. The technology used in manufacturing these products is regularly upgraded with changing trends and technology that boosts our market share.